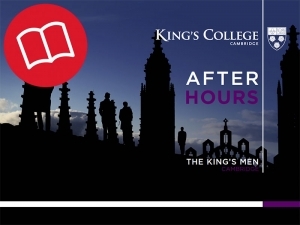 The King’s Men (the men’s voices from The Choir of King’s College, Cambridge) present a selection of unrecorded pop and jazz a capella arrangements written for the group by current and former Choral Scholars. The songs range from classics such as ‘Swing Low, Sweet Chariot’ and ‘Old Man River’ to more recent hits such as Carly-Rae Jepson’s ‘Call Me Maybe’. The album reached No. 1 on the iTunes Classical Download Chart. Recorded at 96kHz 24-bit PCM stereo.